There are many nutritional benefits associated with omega- 3 fatty acids. 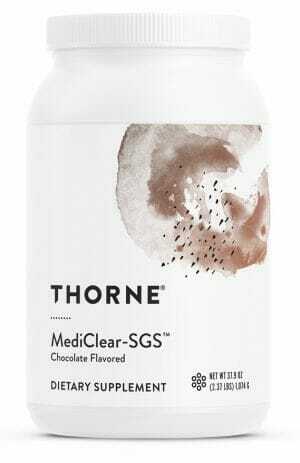 Thorne Research Super EPA Pro has been carefully crafted with proper dosages & fish oil extraction methods, ranking it highly among the best omega-3 supplements available anywhere! There is little debate in the nutritional world over the value of omega-3 fatty acids and their potential benefits. However, finding a quality source of these fats in a form which is right for your body’s individual needs can get tricky. 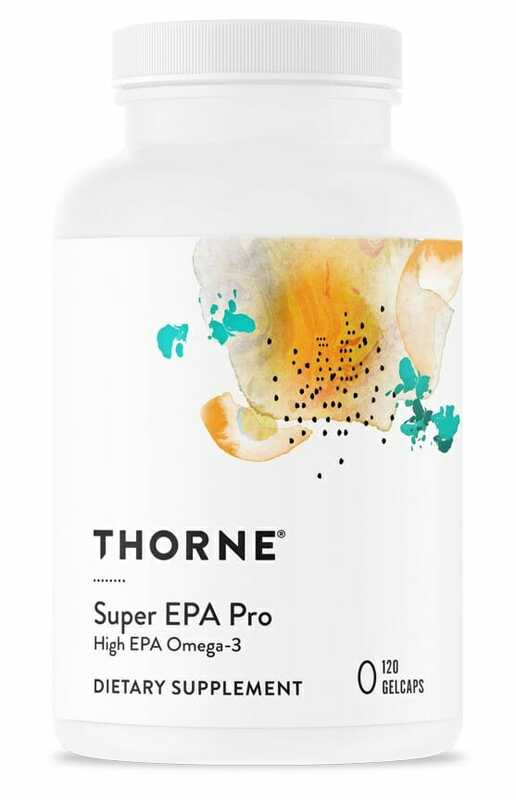 Thankfully, Thorne Research has designed Super EPA Pro with careful attention paid to proper dosages and fish oil extraction methods, ranking it highly among the best omega fatty acids supplements available anywhere! Uses a higher dose of EPA (1,300 mg) than DHA (200 mg) which may support healthy HDL and LDL cholesterol levels already within a normal range. May provide nutritional benefits for the heart, joints, hair and skin, and even for weight loss. Low temperature Supercritical Fluid Technology fish oil extraction ensures high potency. A perfect supplement for those who avoid seafood in their diets. 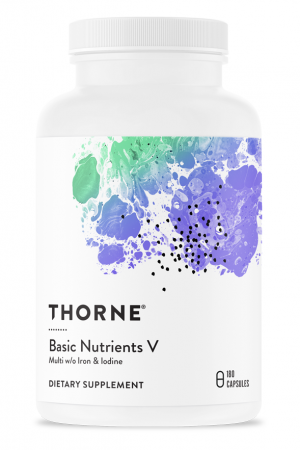 Useful for helping to balance the body’s omega-3 to omega-6 ratio. Omega-3 fatty acids, like EPA and DHA, are among the most important nutrients you can get from dietary intake. The reasons for this are many. First and foremost, these fatty acids play a supportive role in numerous bodily systems and processes. Some of the nutritional benefits that omega-3s may bring to the body include support of anti-inflammatory activity which may be helpful for a healthy cardiovascular system and joints, as well as cosmetic support of hair and skin health. 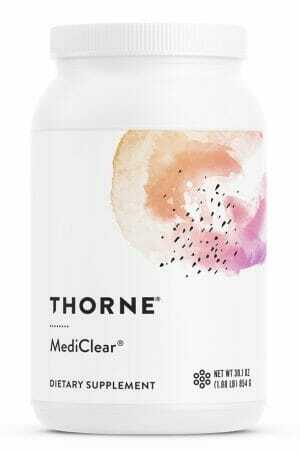 It is even thought that they may aid in natural weight loss processes when used in conjunction with diet and exercise. Perhaps even more importantly, omega-3s cannot be produced organically in the human body. This contrast between the usefulness of these fatty acids and their inherent absence in the body makes dietary choices and supplementation a vital means of securing an adequate supply of these quality fats and the potential health benefits they can provide. There are a number of foods which are high in omega-3 fatty acids. The most notorious of these food sources are various forms of seafood – mackerel, salmon, and cod in particular – but there are also plant-based food sources like flax seeds, chia seeds, walnuts, and soybeans. These options may be useful for vegetarians, vegans, and others who avoid fish in their diets, but are still seeking to get their fill of omega-3s. However, even those who eat seafood regularly can still be at risk of omega-3 deficiency due to complications with nutrient absorption, or simply from choosing the wrong types of seafood. In an effort to create a fish oil based omega-3 fatty acid supplement which achieves the maximum possible efficacy, Thorne Research has crafted Super EPA Pro with careful attention paid to proper dosages and processing methods. For example, many fish oil supplements will mix omega-3s with a number of other saturated and unsaturated fats which may interfere with their proper absorption. Having only omega-3s may also aid in developing a proper ratio of omega-3s to omega-6s. This is because the body is, in most cases, already in good supply of omega-6s; whereas omega-3 levels typically tend more towards deficiency, thus tipping this ratio out of scale. Without proper fish oil extraction methods, all of its nutritional benefits may be rendered completely useless. As such, Super EPA Pro contains fish oil sourced from anchovies caught off the coast of Peru and extracted using Supercritical Fluid Technology. This cutting-edge process uses only low temperatures along with Co2 to ensure that the oil maintains its molecular integrity as well as its high-concentration of omega-3s. Take 2 gel caps two times daily or as recommended by your health professional. Note: Contains ingredients derived from fish (fish oil = anchovy).